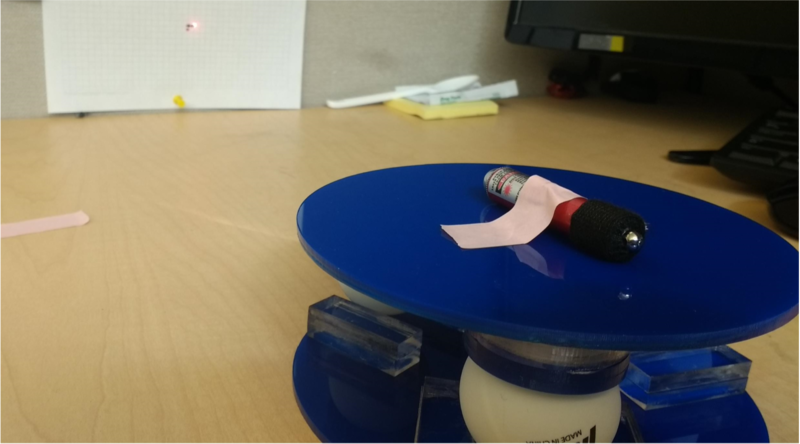 To prototype a kinematic coupling I found three ping pong balls and pieces of acrylic which could be potentially used. I used acrylic to make base with grooves and the top plate to which ping pong balls are attached. To accommodate these needs, I developed following designs. Here the three concentric circles represent the positions where balls will be attached and the raised features act as holders. 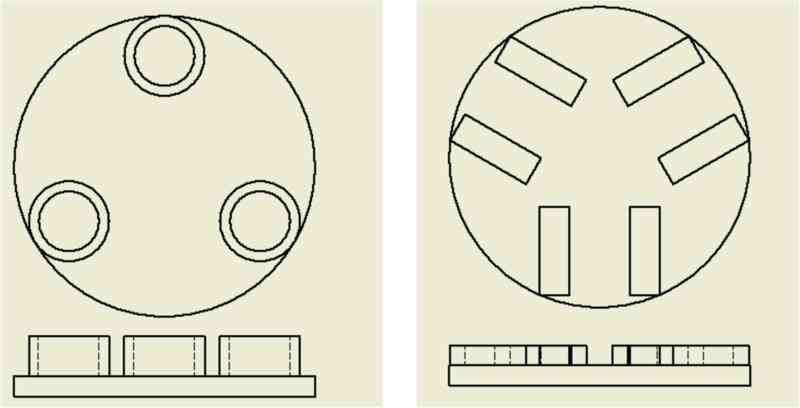 Right image represents the bottom plate and the distance between the two rectangular pieces which are arranged in circular fashion will act as grooves where the ping pong balls will be seated. The parallel distance between the rectangular blocks is chosen to be 3/4th the diameter of the ball. Once the designs are complete, I used desktop laser cutter to cut pieces of acrylic according to the design. Individual pieces of acrylic are then glued together to complete the assembly. Ping pong balls are then glued on the raises as shown in the following left figure.